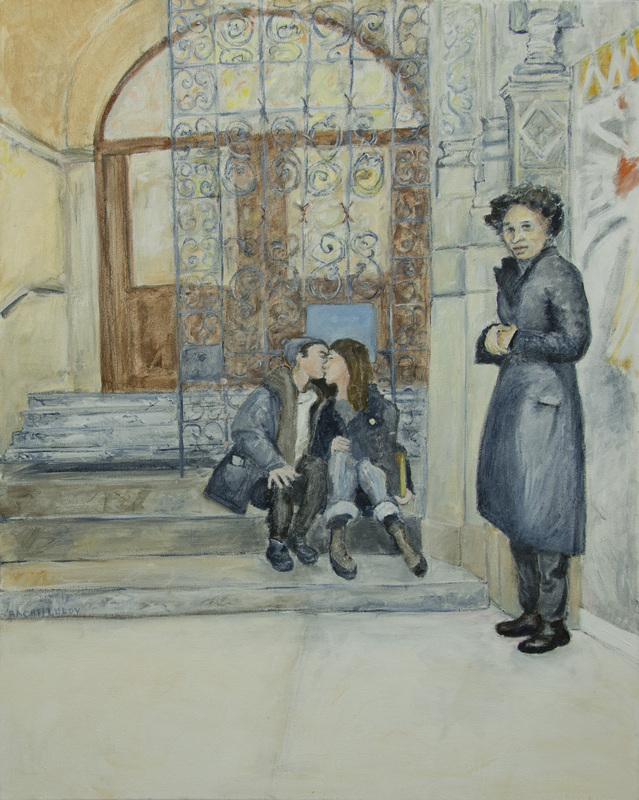 I am delighted that my painting, “The Kiss” has been selected for inclusion in the in “A Landmark Exhibition” , November 7-December 4, in the Art Students League of New York gallery! This exhibit celebrates the League’s beautiful beaux-arts building and chronicles the influence of The Art Students League. Only a small number of contemporary works were chosen for this exhibit, and I fully appreciate the honor of being chosen. This entry was tagged "The Kiss" RLSegall, The Landmark Exhibition". Bookmark the permalink. an egg tempera painting, 8″ x10″ on panel.